"Excuse me," she said, stifling a laugh. "I think they require assistance." Rushing over to the tree, The'ara grabbed the ladder, and set it upright, close to Menelanna and her brother. The moon elf braced against the ladder in preparation. "Menelanna, I think it best if you went first." 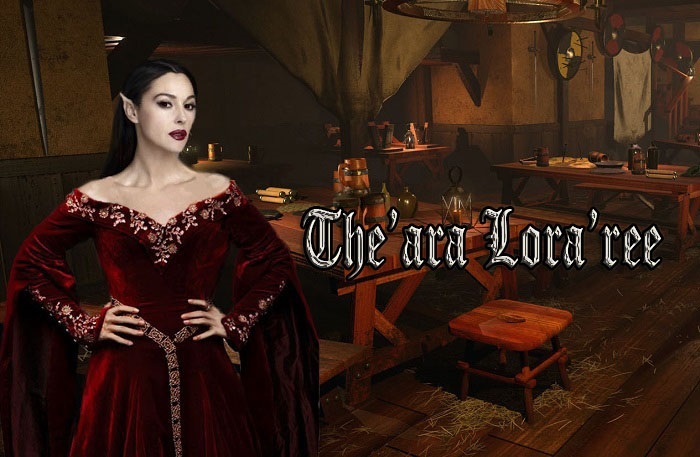 The'ara could only imagine the chaos if the siblings decided to both descend at once. No doubt, they'd end up crushing her under the ladder if they did that.